Cleveland Browns running back Kareem Hunt will be suspended without pay for the first eight games of the 2019 season for violating the NFL’s personal conduct policy, the league announced Friday. Hunt was a member of the Kansas City Chiefs when a video surfaced of him shoving and kicking a woman in Cleveland last February. The team soon released him. The Browns signed Hunt on a one-year deal this offseason without knowing what type of discipline he might face. Hunt will not appeal the suspension, the league said. He will miss the first eight regular-season games, eligible to return in the Browns’ ninth game. The NFL is expected to release the teams’ schedules sometime in April. The NFL had waited to finish its investigation of that incident — along with a separate reported situation involving Hunt in which he allegedly punched a man in the face at an Ohio resort last June — before assessing his punishment. The league’s findings included reviewing available law enforcement records, video and electronic communications, interviews with numerous witnesses, and multiple interviews with Hunt. 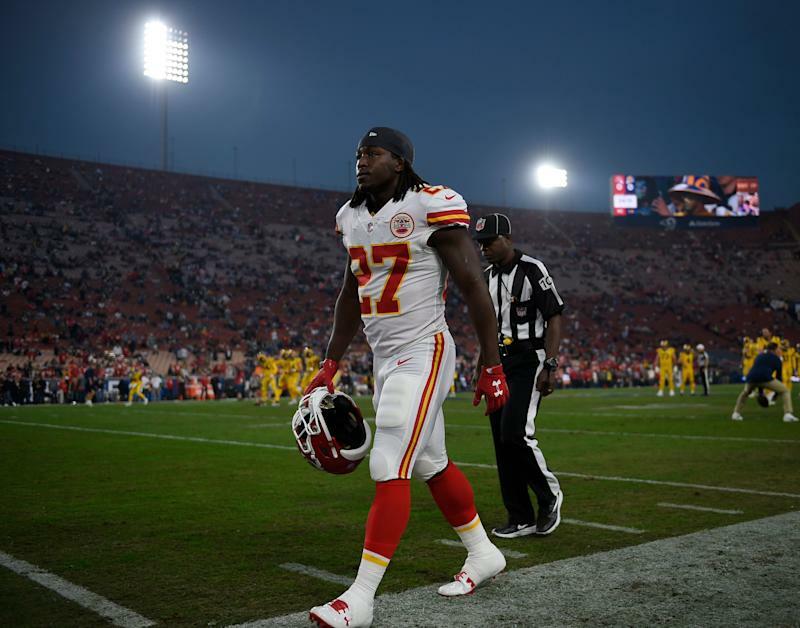 Hunt sat out the final five games of the 2018 regular season after the Chiefs cut him, although the clock for times served on suspensions does not begin when a player is placed on the NFL’s Reserve/Commissioner Exempt List, as Hunt was when the video surfaced. The NFL has a baseline punishment of six games under the personal conduct policy for incidents involving violence, although there have been notable exceptions where suspensions have fallen below this mark. However, with the serious nature of Hunt’s incident that was caught on video, along with the other allegations, the NFL was smart to go above the standard discipline. It’s not clear if Hunt admitted wrongdoing or how much contrition he showed to the league and whether that had any effect on the length of his suspension. The Chiefs released Hunt after they found him to be dishonest about the incident involving the kicking and shoving of the woman. Later, he issued a statement with an apology, saying: "I deeply regret what I did. I hope to move on from this." The NFL reportedly had trouble making contact with the victims in the case, which might have complicated their investigation. The league’s last eight-game suspension is believed to be for former Rams safety T.J. McDonald, who was arrested in May 2017 after he was suspected of driving under the influence of prescription drugs and pleaded no contest earlier that year to a charge of "wet reckless" — which in essence is a reduced form of a DUI charge. The team knew Hunt was facing significant discipline when it signed him to a one-year, $1.1 million deal, which carried a base salary of $645,000, a roster bonus of $275,000 and a workout bonus of $55,000. Now that the suspension has been handed down, Hunt will forfeit $503,529 of his 2019 pay with the Browns. The Browns will receive a roster exemption for Hunt beginning on Aug. 31. They have Nick Chubb as the team’s featured back and reportedly will listen to trade offers for Duke Johnson, who was their best pass-catching runner last year. But doing so might be risky considering that Hunt is likely on a one-strike-and-you’re-out trial with his new team. The Browns have had a banner offseason, acquiring Odell Beckham Jr. and a slew of other talent, making this one of the more anticipated seasons in recent memory. But the Hunt discipline tamped down that enthusiasm just a bit on Friday.